RAF jets strike chemical weapon facility in Syria. At 0200 UK time on 14 April, British forces joined close Allies in a precision strike on Syrian installations involved in the regime’s use of chemical weapons against its own people. The strike was launched as a response to the chemical weapon attack on 7 April in Douma which killed up to 75 people, including young children; a significant body of information, including intelligence, indicates that the Syrian regime was responsible for this latest attack. Our action is proportionate, specifically aimed at degrading the regime’s ability to use chemical weapons and deterring further such appalling acts; it is therefore focused on regime facilities linked to the production and use of chemical weapons. RAF Tornado GR4 carries Storm Shadow cruise missiles. 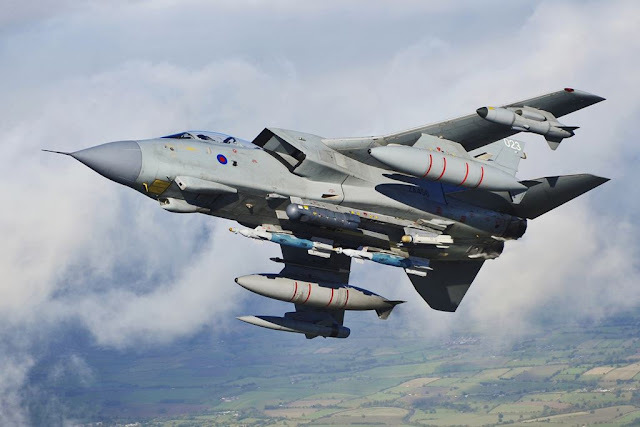 The UK element of the carefully coordinated joint action was contributed by four Royal Air Force Tornado GR4s and four RAF Typhoon FGR4s in support. 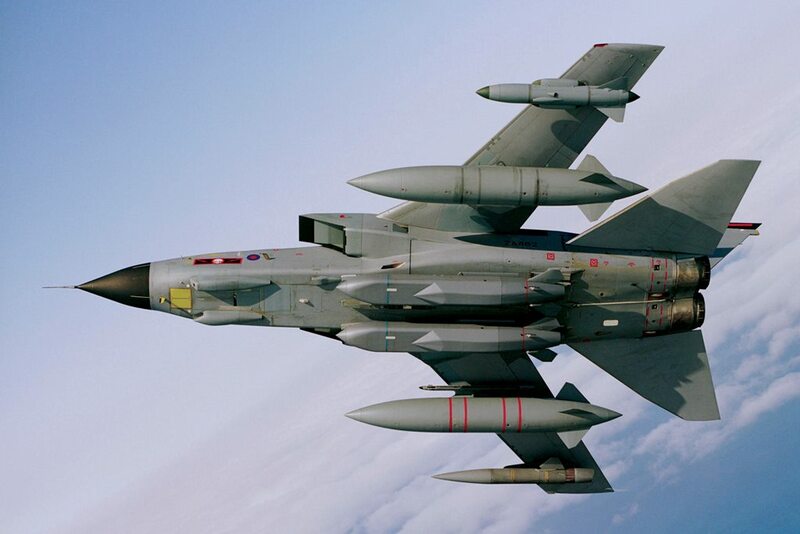 The Tornados launched eight Storm Shadow missiles at the Him Sinshar chemical weapons storage site. The military facility was a former missile base, located some fifteen miles west of Homs, where the regime is assessed to keep chemical weapon precursors stockpiled in breach of Syria’s obligations under the Chemical Weapons Convention. Very careful scientific analysis was applied to determine where best to target the Storm Shadows to maximise the destruction of the stockpiled chemicals and to minimise any risks of contamination to the surrounding area. The facility which was struck is located some distance from any known concentrations of civilian habitation, reducing yet further any such risk.